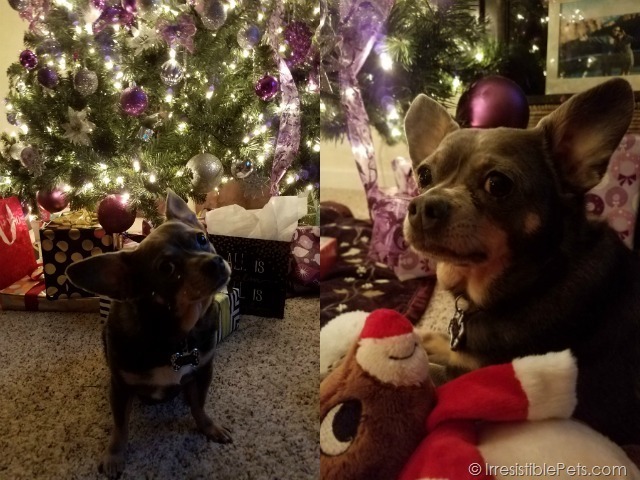 I can’t believe this is going to be Chuy’s 9th Christmas with us. We have had Chuy since he was just six weeks old. 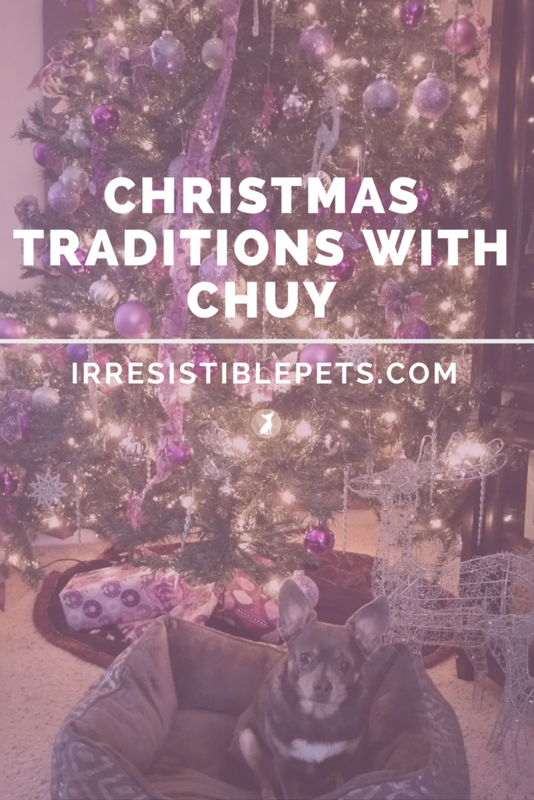 Chuy is part of our family and we have created Christmas traditions with him that we look forward to each year. I would like to share some of those traditions with you in hopes that you can do the same with your dog. We always put up our Christmas tree on Black Friday and get all of the decorating done by the end of the weekend. Chuy doesn’t actually help but he always curls up on the couch right next to us while we decorate. Oh to be a dog! See how he tries to take all of the credit once the work is done?! This is probably my favorite tradition of all. 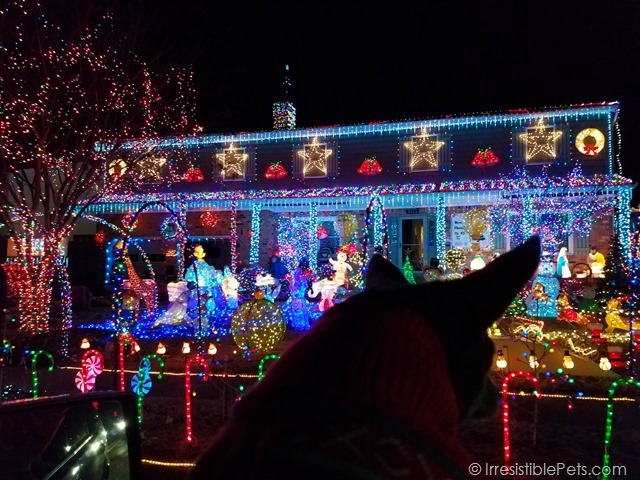 We love to drive around and check out all of the Christmas lights. In our area there are so many different displays including the Holiday Lights at the Beach where you can drive your car on the boardwalk! There are also several neighborhood displays. Chuy loves to look out the window at the lights! 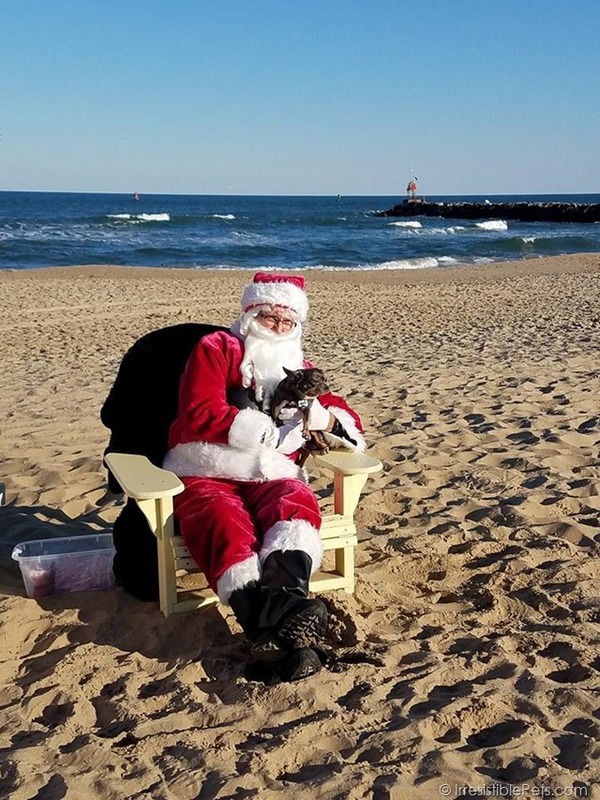 A few years ago we started doing Santa pictures on the beach. They offer this for free in Virginia Beach once a year and only ask for donations that help to support our local lifeguard association. I love these so much more than the mall pics because they are unique and sum up our love for the beach. Here’s a sneak peek of our 2017 pics with Santa at the beach! 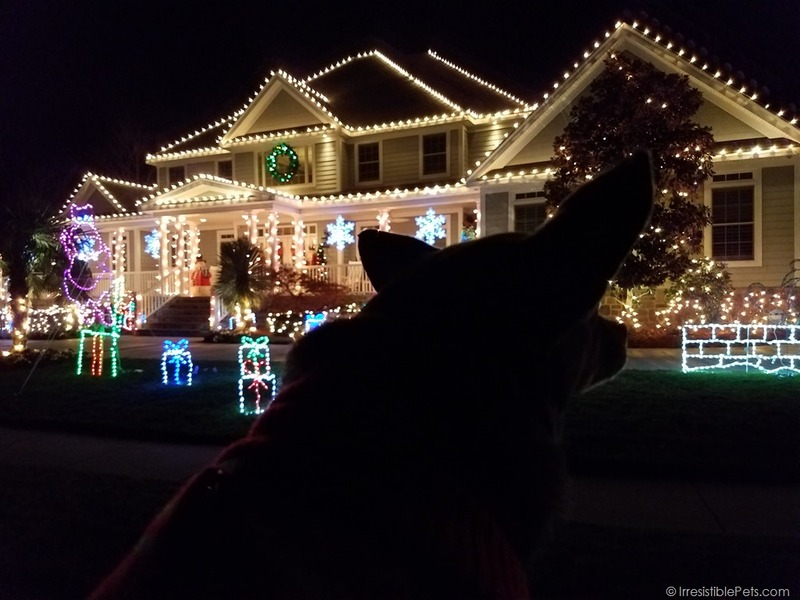 Since holiday parades and festivals are outdoors they are usually dog friendly. You should always check in advance to make sure they allow dogs. Our tradition is to open all of our gifts on Christmas Eve…including Chuy’s. That will change a little bit now that Catalina is old enough to enjoy Christmas. Yes, we get Chuy Christmas presents and he loves to open them! My favorite part of decorating the house for Christmas is how cozy it makes everything feel. We put our tree up in the family room next to the TV. I love snuggling up on the couch to watch Christmas movies with only the lights from the tree on. We are currently enjoying Christmas movies on Netflix and through Amazon Prime. We have several outdoor shopping malls that are dog friendly. It’s awesome because Chuy can come along with us to do some shopping. Now that we have a stroller for Catalina when Chuy needs a break, he has a spot underneath her stroller to relax! 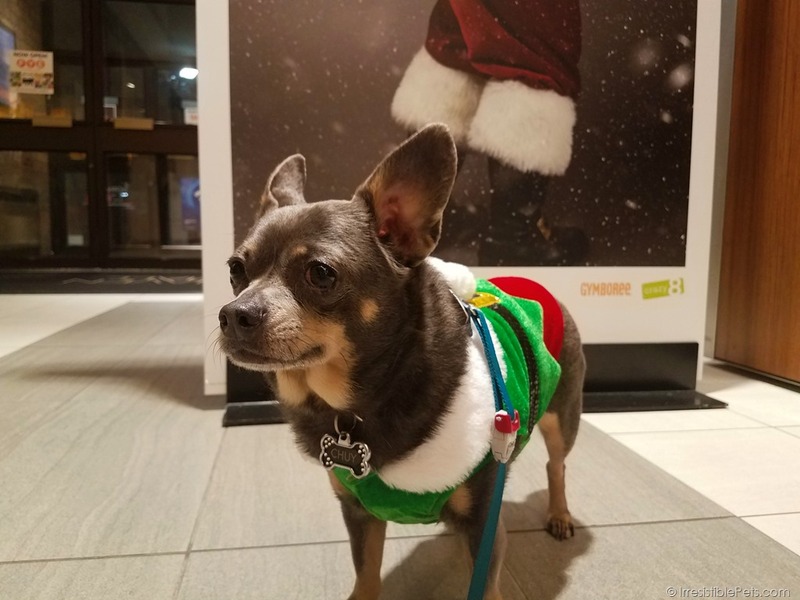 My husband loves it because he has an excuse to stay outside of the stores with Chuy while I shop. Of course there’s always dog friendly shopping right from your couch too! If you need some gift ideas be sure to check out our Holiday Gift Ideas for Chihuahua Lovers. 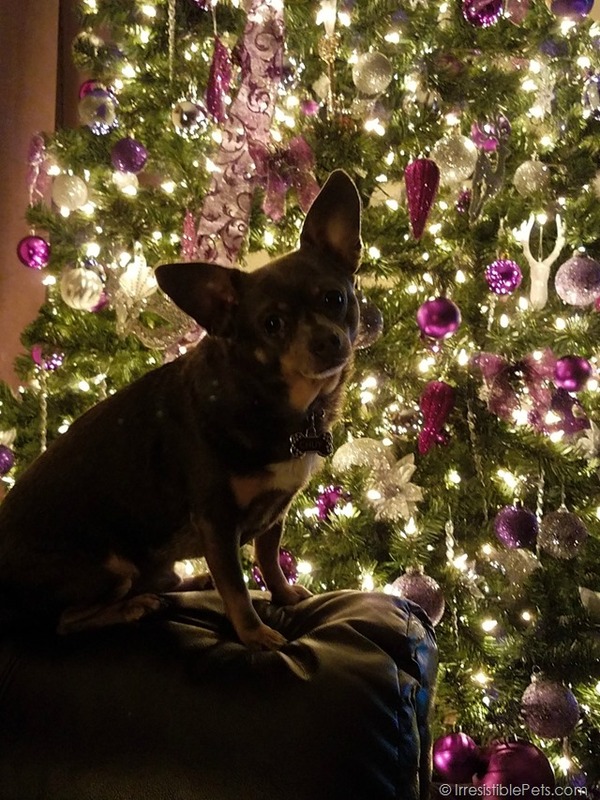 What holiday traditions do you enjoy with your pets? Let us know in the comments! 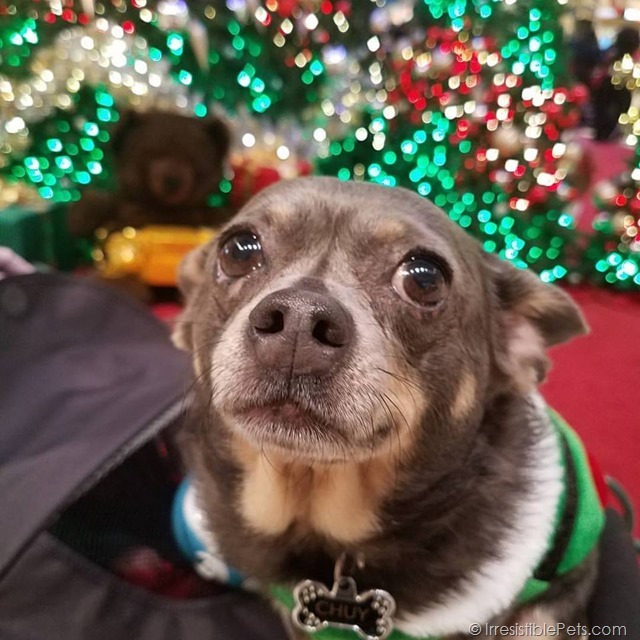 Be sure to check out all of our other Christmas posts for inspiration and ideas to create an irresistible holiday season with your pets! I love the way Chuy poses, cocking his head so cutely! There is plenty of great dog information on this site !